Why drinking energy drink is unhealthy? Staying late nights and overtime means fighting off the call for a much needed snooze. It’s very rampant these days to work with night shift schedules, when the lifestyle you chose is giving you no other alternatives but to consume Anything with caffeine. And worst these people get hooked with energy drinks to keep them alert and wide awake. 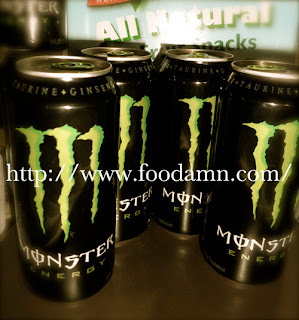 Popular boost energy brands in demand are those that are made from canister, bigger servings and avant garde packaging. Such as Monster, Hype or Red Bull. you can really pound down! " Energy drink is really bad for health in my opinion, but for some the benefits it gives with the type of lifestyle they ask for, they seems addicted to it. I for one can't finished a a serving of each type. One, I easily palpitate and the effects on me last too long that I have to suffer insomnia and anxiety. Yes the energy levels boosts for a period of time but after I burned them, there are instances I'd be irritable and grasping for air. Small dozes works for me though and there's the sense of knowing when to stop, when drinking energy drinks you should know your capabilities and the purpose as to why are you having it anyway. What's with the energy drink? Ingredients that infer to enhance physical function: taurine, inositol and sodium citrate. 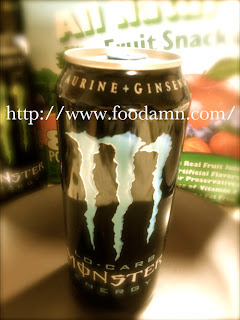 Taurine a sulfur-containing amino acid important in the metabolism of fats. Taurine is regularly used as an ingredient in energy drinks, with many containing 1000 mg per serving, and some as much as 2000 mg. Serves as a mild sedative, anti-oxidant, and is essential for cardiovascular function, and development and function of skeletal muscle, the retina and the central nervous system. Taurine is a major constituent of bile and can be found in the large intestine and in the tissues of many animals, including humans. 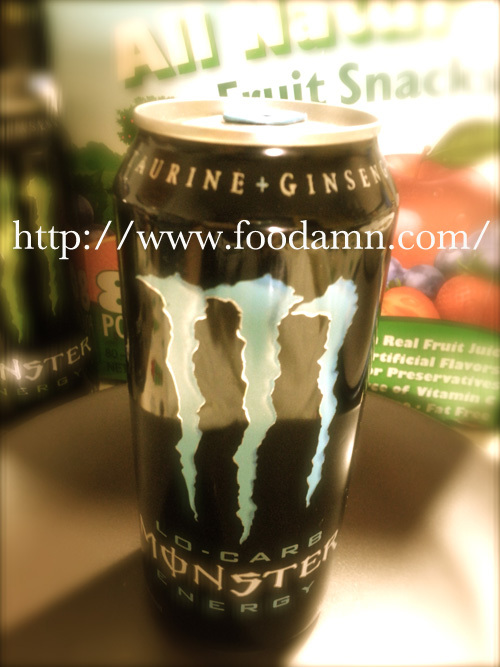 But for commercial production, taurine is synthetically produced with chemicals. Sodium citrate can be found in sodas and sandwich spreads that act as preservatives. It helps in replacing the lost electrolytes during physical activities. Caffeine a crystalline compound that is found esp. in tea and coffee plants and is a stimulant of the central nervous system. It momentarily ward off drowsiness and restores alertness. Thus caffeine kick goes on for a couple of hours. An energy drinks generally contain methylxanthines (including caffeine), B vitamins, and herbs. Other commonly used ingredients are carbonated water, guarana, yerba mate, açaí, and taurine, plus various forms of ginseng, maltodextrin, inositol, carnitine, creatine, glucuronolactone, and ginkgo biloba. Some contain high levels of sugar, and many brands offer artificially sweetened 'diet' versions. 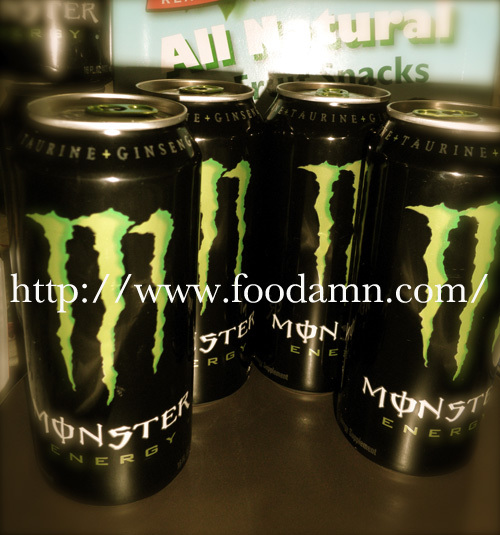 A common ingredient in most energy drinks is caffeine (often in the form of guarana or yerba mate). Caffeine is the stimulant that is found in coffee and tea. Energy drinks contain about three times the amount of caffeine as cola. 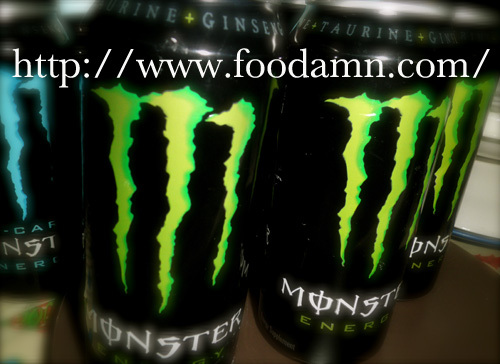 12 ounces of Coca-Cola Classic contains 35 mg of caffeine, whereas a Monster Energy Drink contains 120 mg of caffeine. Given that energy drinks nowadays are packed in larger servings, arrival of energy shots mostly in cans has gone the opposite way with small-bottled packaging. There are reports of chronic dehydration caused by energy drink, when they should have taken just a bottle of plain water to replenish that thirst. The next thing they knew, those guys collapsed. It's best to consume the allowable serving always, know your limits and be safe always. my bestfriend (Male) thought that Monster Energy is just some famous motorcycle decals of some sort.. I informed him it's an energy drink and told him, "You wouldn't want to be a traveling advertisement source right?" We are a bunch of people who wants Pinoy food to be known to the world. energy is necessary in every thing for best performance. In every body building energy is needed.it is used to remove stress from the body re-energetic it to perform the job. Monster Energy drink + full contact tackle football = Chaos!!! catch the finals live this saturdat, 5pm, at the Marikina sports park and witness the first ever american football league here in the country! Okay so energy is required for anything physical. Energy drinks sure do pack a good punch that is until you start crashing. I find that real supplements that provide INTENSE amount of energy,endurance, and muscle strength will always be better than those $3 energy drinks.